Bamboo Textiles’ bamboo fibres are regenerated cellulose fibres using mature bamboo timber. The technology to produce it has been around for nearly 100 years but it has only been used with bamboo in Japan and China since the turn of the century. 100% Australian Owned and located in Gympie, Queensland. 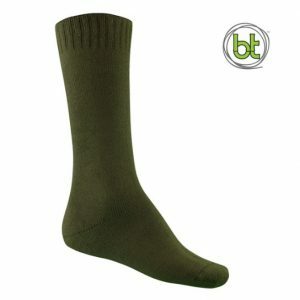 A work sock suitable for wear with gumboots, motorcycle riding boots, combat or law enforcement boots or any higher than standard work boots. It is perhaps not immediately noticed by someone putting on a bamboo sock for the first time that, apart from the smooth softness, you can hold the sock by the top hem and pull it onto your foot in one smooth movement until it is fully in place and there it stays. Most other sock types have to be almost ‘threaded’ onto your foot in several stages. Many people wash their socks daily because traditionally, this was the right thing to do. 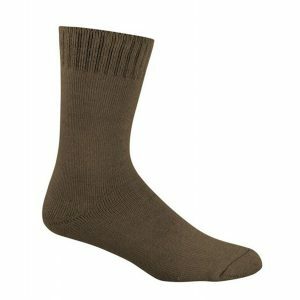 However, with the natural anti-bacterial properties of bamboo fibre, we have had customers report that after wearing the socks for even up to a week straight without washing, they still smell fresh. This property applies to all our bamboo products. Composition: 92% bamboo/ 8% elastane. Our faster drying socks have been designed for use in the mining and construction industry. 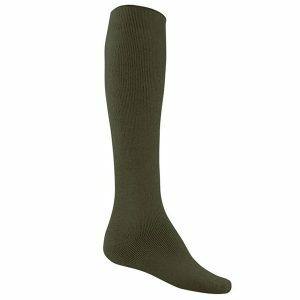 They are longer than your standard work sock which is handy when wearing higher boots. They have a 46% Bamboo 46% Coolplus 8% Elastane composition. This blend retains the anti-bacterial and anti-odour properties which bamboo is famous for but has an added bonus of extra durability and fast drying characteristics thanks to the addition of our Coolplus wicking fibre. Composition: 46% Bamboo/ 46% Coolplus/ 8% Elastane.